So what's next? How about Orchid Flowers? 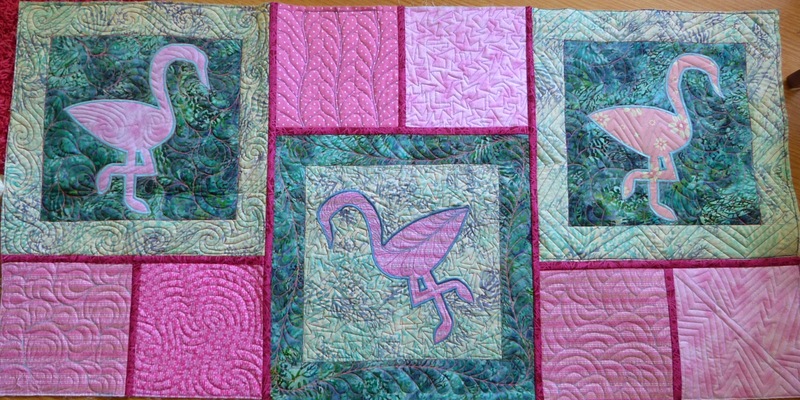 My pink flamingo quilt has been done for a few days now. 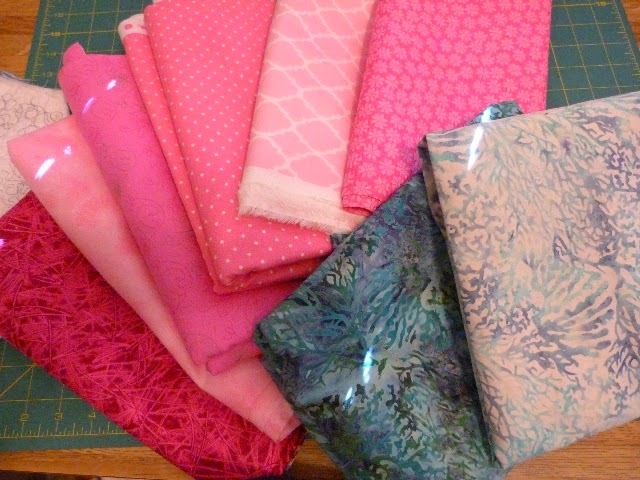 Not having a project at my sewing machine has made me feel unfocused and a little scattered. 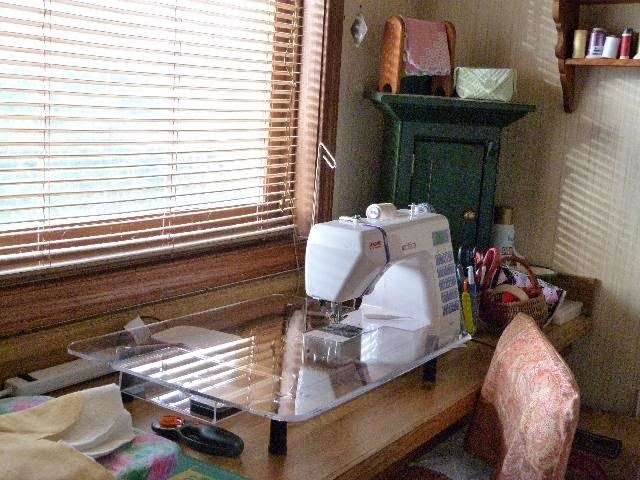 I need to get back to my sewing just to keep me sane, or at least aim for that. I've been in a quandary though about just what the next project will be. I have so many ideas and there are so many options available. I have all but decided to revisit a UFO (UnFinished Object). I think my next quilt will be one I started some time ago--a traditional Dresden Plate quilt in shades of lavender. I shall call her Orchid Flowers. I did a little playing around with my Electric Quilt 7 software, just to come up with some kind of idea of what I want to do. I came up with this as roughly what it will look like. I've always been drawn to these kinds of traditional quilts. I already have a good start on this one, with several of the Dresdens already appliqued onto background squares. The squares are alternating white and off-white paisley prints. I love just about anything paisley. One day I am going to make an all paisley quilt, but I have some fabric to collect before that ever happens. 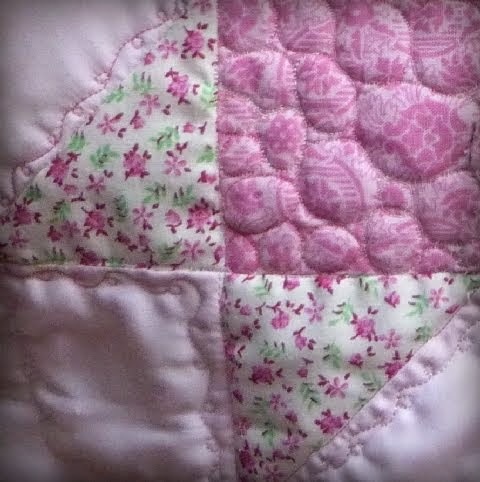 In my off-time, I'm also revisiting Craftsy's Quilt of the Month 2015 quilt. 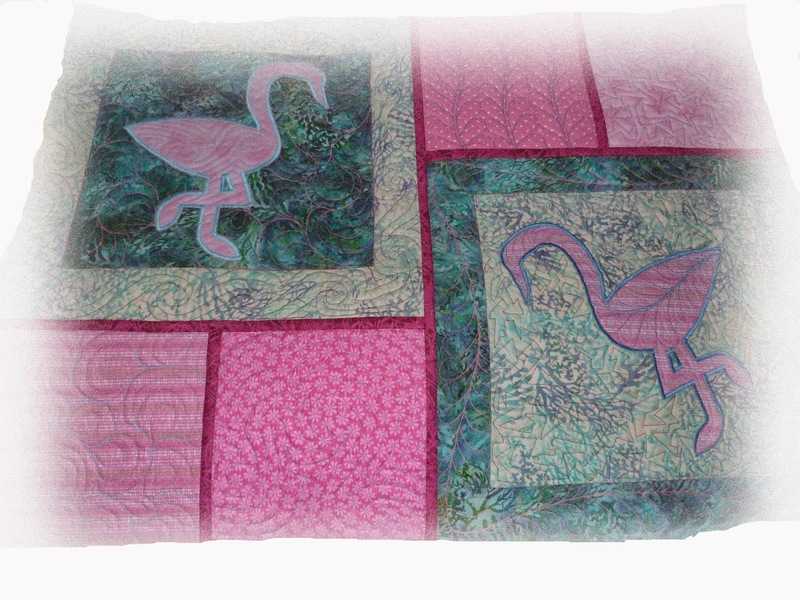 The class is taught by Jinny Beyer, one of my absolute heroes of the quilting world. 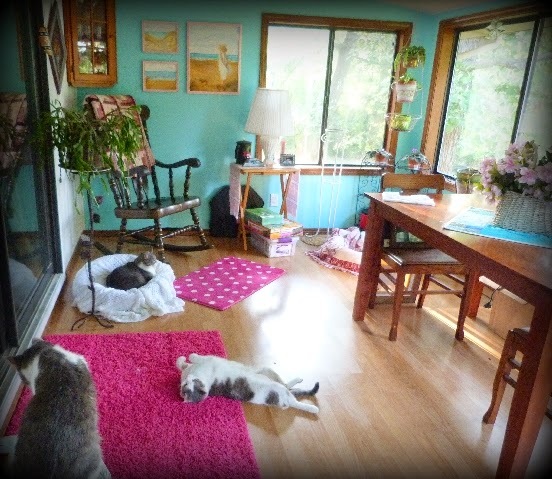 I haven't decided yet if I'm going to go all in--order the kit and make an exact duplicate of the beautiful quilt Jinny creates. There are always options, to just practice some of the techniques for another time, or pick out my own colors and fabric and go from there. The kit is a lot of money to spend at one time, something I rarely do. I'm also a little leery of having a finite amount of fabric, just in case I cut into it and make a mistake. Ruining a piece of fabric would be costly, in so many ways. So the jury's still out on this decision. I do love some of the techniques she teaches. In fact, I rather like the idea of piecing the quilt by hand. Jinny is masterful at her techniques. I love her color theory as well. I'm leaning toward purchasing the kit but haven't completely made up my mind yet. One morning I will wake up and know that is the right thing to do. I have always been curious about the beautiful border prints Jinny has designed. They look positively delicious. The colors are always rich and lovely. I have not had the time to actually participate in her classes, but I have watched all of them. The more I watch, the more I want to jump right in. But, I'm waiting until the time is right and I have a little more time. 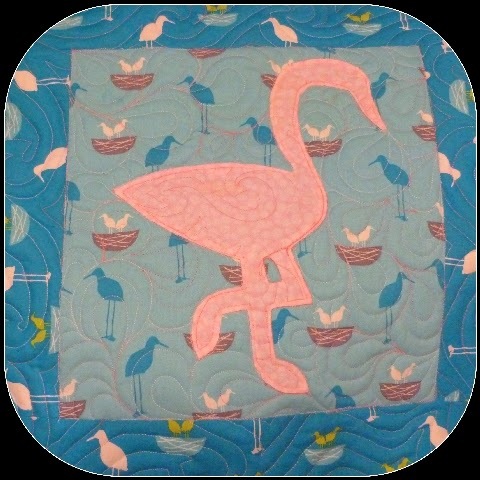 I am also taking the Craftsy class with Peggy Martin on strip paper piecing. I have been watching those too before jumping in, and I'm starting to get excited about trying her techniques as well. There is never a shortage of new things in the quilting world. I am so surprised by that. Each new door opens many others. There are so many things I want to try; there are so many things I have yet to perfect. Of course, the goal is always to master a skill, but more importantly, it is to enjoy the process along the way.